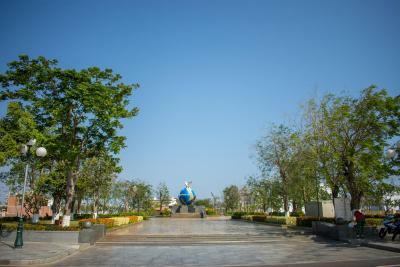 Lock in a great price for Khách sạn Mặt Trăng - Moon Hotel – rated 9.4 by recent guests! 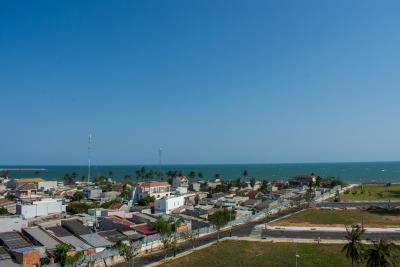 The hotel locates near the beach with open view. From my room on the 5th floor, I can the whole beach with fantastic sunrise and sunset! This is some kind of family hotel, therefore the staffs are the owners of the hotel. They are friendly, enthusiastic and lovely. This is a brand new hotel, probably built a few months ago. 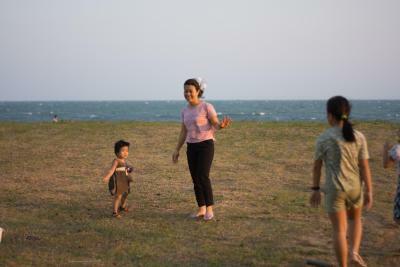 The location is so peaceful, within about 100 meters to go the beach. I think this place, is the best place to have some pictures of the sunrise in the beach with the smallest amount for the cost of staying in that area. Incredible place! The most generous, the most caring owners and personnel we've ever met. They will help with anything, be it a care of your dog, bringing him everyday goodies, providing with a special blanket, which he immediately fells in love with, or care of a customer: helping with shoes repair, finding the right dentist, bringing fruits, the list is endless, just to scratch the surface. 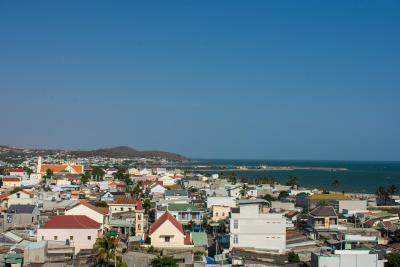 Awesome secured location at the beach with all the amenities, markets and shops in walking distance. 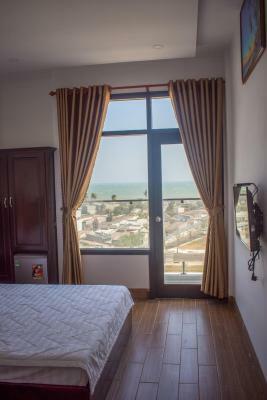 Every room has a huge balcony with a sea view, or a city view with mountains on background. Modern TV with YouTube and other services. Cosy rooms, clean and fresh. Booked for a day, but decided to stay for more. I booked a room single bed with sea view. 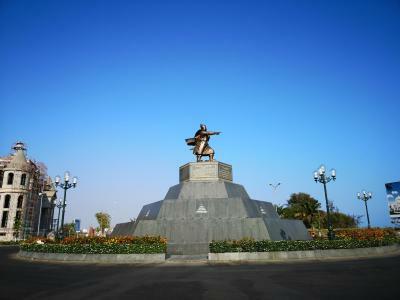 Such an quiet place really near the sea with absolutely beautiful view. 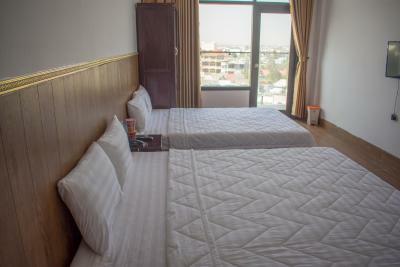 The room is clean and new because the hotel has just established since Feb 2019. The staff are also the owners. They are friendly, helpful. 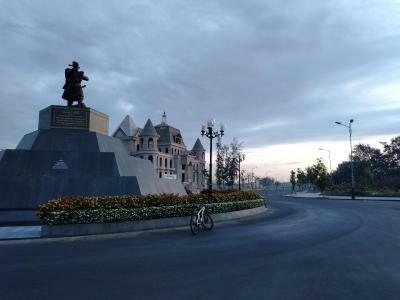 Definitely my best choice if I have a chance to come back Phan Thiet city. Die Nähe zum Meer und der Blick aufs Meer haben mir gut gefallen. Sehr überzeugend und authentisch war die Herzlichkeit der Gastgeber, äußerst hilfsbereit und fürsorglich in jeder Hinsicht. Freue mich auf meinen Aufenthalt in 2020. Ks yên tĩnh , chị chủ rất dễ thương và nhiệt tình. 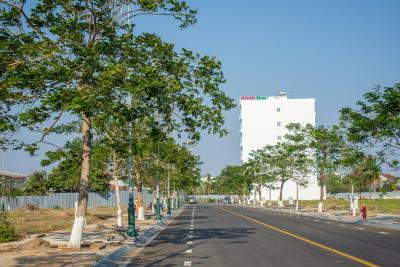 Khách sạn đẹp, phòng đẹp, sạch sẽ, view đẹp, vị trí đẹp, anh chị chủ cực kỳ dễ thương, nhiệt tình, hỗ trợ khách hết mình từ đưa đón đặt xe taxi, xe khách giúp. 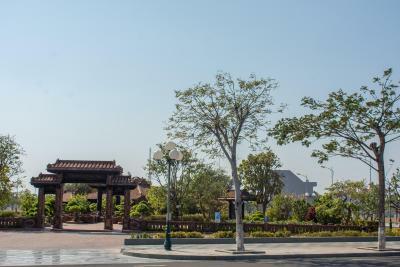 Sẽ quay lại đây nếu có dịp. + Chỗ nghỉ rất tốt , sạch sẽ , tiện nghi , yên tĩnh. + Anh , chị chủ rất dễ thương , nhiệt tình . 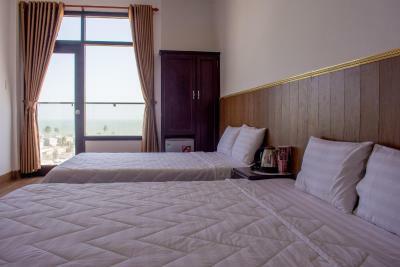 Located within a 20-minute walk of Phan Thiet Food Street, Khách sạn Mặt Trăng - Moon Hotel in Phan Thiet provides a private beach area, as well as free WiFi. 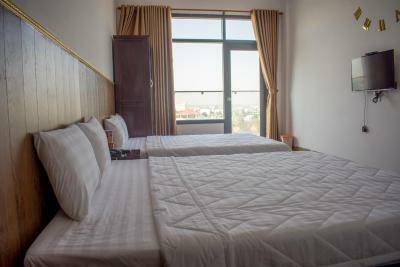 Located around 1.6 miles from Binh Thuan Bus Station, the love hotel is also a 9-minute walk away from Binh Thuan Post Office. 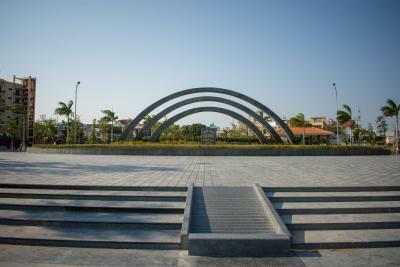 The property is 1.6 miles from Ho Chi Minh Museum. The love hotel has a terrace. 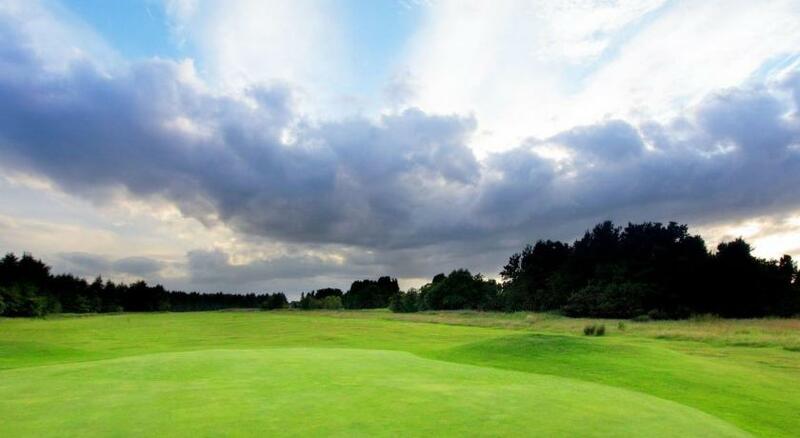 A variety of popular activities are available in the area around the property, including cycling and hiking. Phan Thiet Fishing Port is 1.6 miles from Khách sạn Mặt Trăng - Moon Hotel. 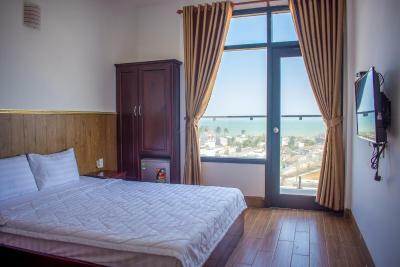 This property also has one of the top-rated locations in Phan Thiet! Guests are happier about it compared to other properties in the area. 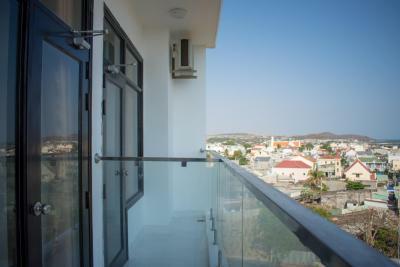 This property is also rated for the best value in Phan Thiet! Guests are getting more for their money when compared to other properties in this city. When would you like to stay at Khách sạn Mặt Trăng - Moon Hotel? House Rules Khách sạn Mặt Trăng - Moon Hotel takes special requests – add in the next step! Khách sạn Mặt Trăng - Moon Hotel accepts these cards and reserves the right to temporarily hold an amount prior to arrival. Balcony with great view and kind host. The staffs are little confused about using payment by credit card. But later, they learnt how to use it and it was ok.
Do not have hair dryer.